Y’all, it’s time to talk about Sense and Sensibility. I go on plenty about Pride and Prejudice around here – it was my first real introduction to Austen – but I’ve recently rediscovered just how fantastic Sense and Sensibility is. This was Austen’s first published work, it tells a tale of devoted sisters, and I’ve fallen in love with it all over again after listening to the audiobook narrated by Rosamund Pike, who played Jane Bennet in the 2005 Pride and Prejudice movie (she’s narrated a version of Pride and Prejudice too. Both are exquisite). 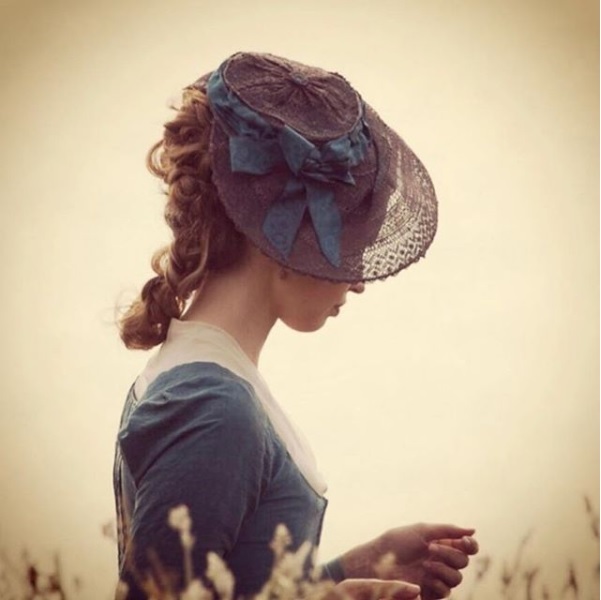 After revisiting the story in this format, I have some new-ish/hopefully interesting reflections on my experience with Sense and Sensibility, especially when it comes to the two contenders for Marianne Dashwood’s heart. Here’s my Sense and Sensibility story, and I hope you’ll share yours. Like many of us probably were, I was first introduced to Sense and Sensibility through Ang Lee’s 1995 film version that starred Emma Thompson, Alan Rickman, and Kate Winslet. I now think that I might have seen it even before I saw Joe Wright’s Pride and Prejudice, which is the film I’ve long credited for introducing me to Austen. Either way, when I first saw Sense and Sensibility, I was unaware of the Jane Austen connection and had no idea how famous this story was. And my sensitive, romantic-hearted little 12 or 13-year-old self was immediately captivated by the romance of the vivacious Marianne Dashwood and the charming… Willoughby. Yes, it was the handsome, roguish Willoughby who first turned my head. As a youngster, I frankly didn’t notice or understand Colonel Brandon’s generous heart and gentle, strong constancy. He was the older guy, sort of quiet and awkward, and definitely not as handsome (sorry, Alan Rickman groupies). Willoughby, on the other hand, was PERFECT for Marianne! Hello, he carried her home in a rainstorm after she’d sprained her ankle and then quoted her favorite sonnet to her! Swoon. So, I was a goner. Such a goner, in fact, that even after all of Willoughby’s bad deeds were exposed, I was still convinced that he would come back to Marianne at the end with a full apology and explanation ready. I was utterly convinced of it right up until the ending scene in which Marianne walks out of the church on Colonel Brandon’s arm. Immediately, my jaw dropped, I uttered some exclamation of disappointed surprise, and I angrily stormed from the room. My emotional involvement in stories has clearly always been a thing. Fast forward some years, and I’m now firmly in the Colonel Brandon camp. As an adult, I’ve now willingly joined the ranks of women who sigh contentedly over his steady strength, gentle attentiveness, and quiet protectiveness over Marianne and others in his care. That angry scene I made after my first viewing of the '95 film ended up leading into a valuable object lesson for my 12 or 13-year-old self, but I’ve come to believe that my early, short-lived infatuation with Willoughby was due to his portrayal in that particular film adaptation. Who is Willoughby in Ang Lee’s film, which is largely carried by Emma Thompson’s phenomenal script? I recently read a fantastic blog post about Willoughby which actually argues for more merit in this version of Willoughby than many give him credit for. I don’t know if I’d go that far, but I admit that even now, when I watch this Willoughby, played with ever-convincing charm by Greg Wise, I feel a little wistful. He is quite dashing, sweet, and thoughtful towards Marianne. If only he’d been less afraid to be poor. But I think that’s the major conflict that much of the plot comes down to for Willoughby in this version. The blog post linked above discusses this in detail – he’s portrayed as a bit of a rogue who made some mistakes, but in the end, still could have been a good match for Marianne if only he’d been willing to give up the promise of wealth. While this film is gorgeous and I love many things about it, I think this portrayal of Willoughby varies from the book in important ways. My conversion to Team Brandon, therefore, came when I read the book and watched the 2008 miniseries that was directed by Andrew Davies and starred Hattie Morahan, Dan Stevens, and Charity Wakefield. This miniseries was particularly important in my experience because it gives a more holistic portrayal of Willoughby’s character and Colonel Brandon’s thorough distrust of him. Dominic Cooper’s Willoughby in this version is perfectly charming and sweet, but he also has a definite edgy quality, and key scenes from the book that were omitted from the movie remain in this version. The unchaperoned visit to Allenham, Willoughby’s duel with Colonel Brandon, and his lengthy explanation offered to Elinor during Marianne’s illness are all lifted from the book and included in this version, and all of these are pretty vital to understanding Willoughby. Colonel Brandon’s young ward is also shown onscreen more than once, which gives cogent visual evidence to the audience of what Willoughby’s actions have done. He's a despicable scoundrel in this version without question, and even if he did truly love Marianne, his deceit and lack of remorse towards Brandon’s ward give ample evidence that he and Marianne probably would not have been happy in the long run. And I think this is what Austen had in mind when she wrote the book. Willoughby might be the more charming one to the eye on first impression, or even second and third impression, but Colonel Brandon is the truly honorable and good and faithful one. And I think that if I had seen this version first, I would have understood that better, even as a young teen. And on that note, I admit that I do love David Morissey’s Brandon in the miniseries. Maybe even more than Alan Rickman’s. Sorry again, groupies. But Morissey’s portrayal brings a true military hero vibe from the beginning and I love the fierce protectiveness that undergirds every interaction with Marianne, or any of the Dashwood females, for that matter. More details are given about his tragic past in this version too, and I think Morissey brings the quiet grief needed for that part of the character beautifully. But whichever actor you may prefer, I think most of us can agree that Colonel Brandon is a masterpiece of an Austen hero. It was after my recent listen to Rosamund Pike’s audiobook that I remembered how much I appreciate him. Currently, he and Mr. Knightley of Emma are close in my estimation for the most honorable, gentlemanly, and thoroughly good hero of Austen’s creation. That changes fairly regularly, so who knows how I’ll feel about it tomorrow, but that’s how it stands for now. What are your thoughts? 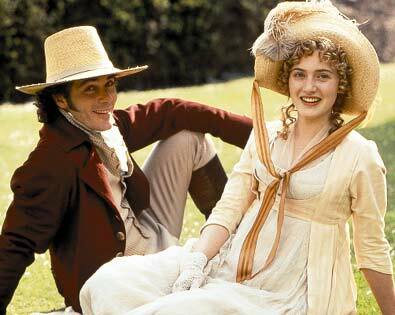 What’s been your experience with Sense and Sensibility? Which film version do you prefer and how do they compare to the book for you? I’d love to hear your thoughts on this lovely Austen novel and the film adaptations! Happy 2019, friends and readers! 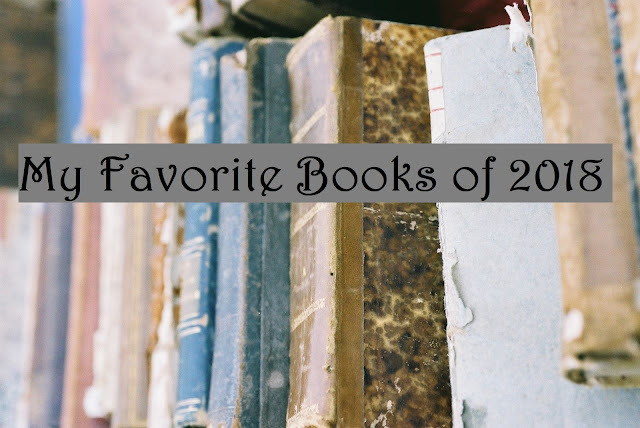 It’s time to take a look back at the year gone by in favorite books and reading stats. Reflecting on what I read in a year and how it grew me has become an annual joy, and I hope you’re inspired to pick up a book mentioned here or to recommend something in the comments. I’d love to hear about your top 2018 reads and what you think I should add to my list for 2019! 2018 was a strong reading year for me with many new favorites. I set a goal to read 50 books in the year and actually made it to 51! First, I have some fun breakdown to share for those of you who like bullet points and headings. I’ve been so pleasantly surprised to see how drastically audiobooks have increased my reading time. I knew they were helping, but I never expected they would up my book count by almost a third! So, interestingly, it turned out that my reading slanted very heavily and unintentionally towards women writers this year! I don’t really have goals when it comes to author demographics, but it was interesting to look back on how I gravitated. 8 books by Susanna Kearsley: Kearsley was my golden new author find of 2018 by a wide margin. I fell in love with the first book of hers that I read in the year and then made a point to work on reading everything by her that I could get my hands on. Some strong new favorites came out of it and I’m still working on reading all of her backlist! Now for favorites! I normally wouldn’t list as many as twelve, but that’s where I am this year! I just read a lot of good books, y’all. Here are my very favorites from 2018, and the list could be taken in a rough two sections if I had to narrow it down further. The first five are the ones that really got into my system, that got their teeth into me, and that I still can’t stop thinking about. The next seven also left deep impressions, but I’d separate them by an ever so slight margin. Enjoy! We Were the Lucky Ones by Georgia Hunter: Possibly a new lifetime favorite for me. This tells the incredible true story of a large family of Polish Jews who survived the Holocaust. Any book about the Holocaust is bound to be heavy and emotionally impactful, but I can honestly say that this one has stayed with me like few others have. It is riveting, emotional, and an ultimately hopeful book about the strength and resilience and courage of the human spirit. A Severe Mercy by Sheldon Vanauken: Vanauken wrote this in the 1970s in memory of his wife Davy, their conversion to Christianity, and his own bereavement in the wake of Davy’s untimely death. His reflections on faith, marriage, loss, grief, and the longings of the human soul are heart-wrenching in all the best ways. The couple’s friendship with C.S. Lewis also has a heavy influence in the book, so many of Lewis’s letters to them are transcribed within. I loved every word of this moving story and will be returning to it soon (and will probably cry again). Book Girl by Sarah Clarkson: I shared recently about how this book resonated with me and it has remained a favorite since then. Sarah Clarkson loves books and expresses profound gratitude in this work for how books have shaped her while she also seeks to pass along the gift that a reading life has been to her. She is passionate, eloquent, and my new kindred spirit. Becoming Mrs. Lewis by Patti Callahan Henry: Obviously, much is known about C.S. Lewis, but Patti Henry seeks to draw back the curtain on his wife, Joy Davidman, in this lovely novel. It offers a fascinating take on how this meeting of minds between Lewis and Joy might have progressed into their devoted, passionate marriage. Mrs. Henry tells their story with such poignancy and emotional truth – have a few tissues handy when you pick this one up! The Winter Sea by Susanna Kearsley: My first Kearsley read that sent me on a happy mission to read all of her books, but this one has remained my favorite of hers. Scotland, romance, the Jacobite rising, a mysterious castle ruin, and a snug cottage on the coast made this a pretty near perfect winter read. A Desperate Fortune by Susanna Kearsley: My other favorite Kearsley read that almost came even with The Winter Sea. Romance and the Jacobite rising still play major roles, but this one takes the reader on a journey through France, Italy, and ancient fairytales that give a magic bent to the story. Also contained in this book is one of my favorite literary proposals. Kearsley really outdid herself with that scene and with the hero for this one. The War that Saved My Life by Kimberly Brubaker Bradley: The best children’s fiction book I’ve read in many years. It tells the story of Ada, a young girl whose cruel mother has kept her locked in their apartment her whole life on account of her clubfoot. When Ada’s brother Jamie is evacuated to the countryside during World War II’s London blitz, Ada promptly sneaks out to go with him. Their foster mom opens their eyes to a completely different life, and Ada and Jamie slowly begin learning the joys of childhood. A moving story about identity, community, and courage. And the sequel, The War I Finally Won, is an equally moving follow-up. I’d Rather Be Reading by Anne Bogel: If you’re a book lover, this is a warm hug waiting to happen. This charming collection of essays on the reading life will make you feel so wholly understood for all your reader quirks. Anne Bogel just gets it. 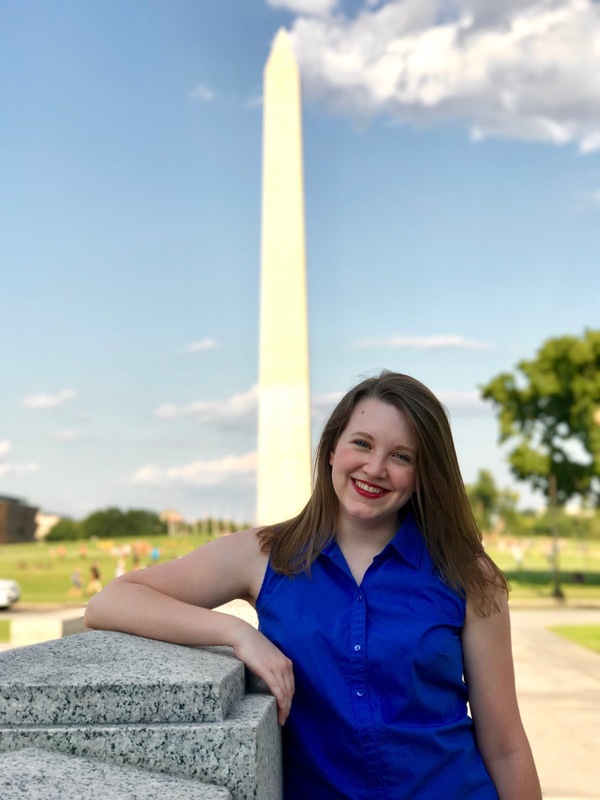 She’s clearly a reader herself, knows readers, and takes joy in bringing readers together by inviting them to appreciate the various phases of a reading life, the book that first hooked them, and even the more embarrassing aspects of their reading lives. Take this journey with Anne and be delighted. I know I was. On Reading Well by Karen Swallow Prior: Another bookish tour, this time through classic literature, that opens the reader’s eyes to how virtue can be cultivated through reading. One reviewer of this book described Karen Swallow Prior as the English teacher everyone wishes they could have had, and I totally concur. She introduces you to Dickens, Twain, Austen, and many more while showing you how all of them can make you a better reader and a better person. Seasons of Waiting by Betsy Childs Howard: My favorite Christian living book of recent years. Most of us feel like we’re waiting for something, no matter what stage of life we’re in. Whether that something is marriage, children, a permanent home, or good health, you will find a compassionate friend in Betsy Childs Howard. She examines various areas of life that involve waiting and explains with gentleness and solid theology how all of our waiting points to our deepest longing for Christ and our waiting for His return. Unequal Affections by Lara S. Ormiston: I’m a Jane Austen snob and look askance at most retelling attempts, but I took the plunge with this reimagining of Pride and Prejudice, and I am SO GLAD I did. Honestly, I think it made me love the original and its characters even more than I already did, and I didn’t think that would have been possible. I listened to the audio version of this one and found myself looking for ANY excuse to turn it on. I laughed, cried, and giggled with delight throughout the whole 13 hours. The Woman Who Smashed Codes by Jason Fagone: A few years ago, a film called The Imitation Game peaked my interest in stories about codebreaking in wartime. It’s odd, as I’ve never been a math person, but I appreciate that a bunch of nerds bent over crossword puzzles were just as vital to war efforts as those fighting on the frontlines. This book tells the unsung hero story of William and Elizabeth Friedman. Elizabeth in particular comes into focus, especially for her work to break into Nazi spy rings in South America during WWII. It’s fascinating, riveting, and has all the elements of a spy thriller. Any of these catch your eye? What did you read in 2018? What should I read in 2019? I’d love to hear! Let me know and see my full 2018 book list below :) Happy weekend! Merry Christmas, friends! This will be short and sweet, but I did want to take a moment to acknowledge the joy of the season. I hope you have time to relax, enjoy family and friends, and reflect on the greatest Gift of all that came in the form of a helpless child, but who was the Son of God who came to rescue His people. Now, I thought I'd share my Christmas break agenda here just in case anyone was needing inspiration. Read books. Like, whole ones. Drink lots and lots of cups of tea. Watch cheesy Netflix Christmas rom coms. Watch Downton Abbey Christmas specials. Do my best to stay in sweats as much as possible. Hopefully that gives you some good ideas. Also, here are a few of my favorite Christmasey things from around the Internet. I hope they bring you joy. What If I'm Not a Merry Gentleman? Also, not to be that person, but I'm totally going to be that person. HEIDA REED READ MY POST, Y'ALL. Like many others, I know about you because of Poldark. I was unfamiliar with Poldark when the show first aired, but the previews caught my eye, so I settled onto my couch one summer evening in 2015 as the first episode ran. I was captivated instantly. From there, I learned how huge Poldark is because of another series made in the 1970s and because of the 12 books that inspired it and the current series. Suffice it to say, I quickly became a fan. I started reading the books after watching the first season of the new TV show and am still gradually working my way through them (just finished the ninth one, The Miller’s Dance, to be precise). Cornwall is now high on my list of dream travel destinations. Winston Graham now ranks among the most talented authors in my estimation. I follow you and your costars on Instagram and smile every time one of you posts a picture of Poldark cast members having fun together. Again, I’m a fan. But I’m especially a fan of you. That seems odd to say since I don’t actually know you. Sure, you kindly share snapshots of your life online that I enjoy, but we all know that’s filtered. Many of us think we “know” famous people, but I’m sure very few people really know you or other famous actors like you. Still, as much as an actress can be “known” these days through what she shares online and how she carries herself during interviews, I feel like I know you because of how generous you are in those spaces. I enjoy how easily you laugh in behind-the-scenes videos I see on Poldark’s Facebook page, your witty Instagram captions, your beautiful smile, and how you’ve frequently declared your love for pizza on social media. So, thanks for all of that. But perhaps most of all, thank you for Elizabeth. Elizabeth is one of the most contentious and often roundly despised characters in Poldark. She’s regularly described as cold, remote, selfish, manipulative, or weak. For many years, she was just a snob who cared only for money and protecting herself from the consequences of her own bad choices. Until you came along and stepped into the role of Elizabeth for our present-day audience. Recently, Karen Thrussell said she thinks you brought a "wonderful emotional truth" to Elizabeth. I like to think that you saw that in her when you first signed on for the role even though many people didn't see much more to her than a pretty face. Admittedly, I was surprised when Elizabeth and Francis were married in the first episode. Why didn’t Ross do more to win her back, I wondered. When Demelza came into the picture, I saw a new direction quickly forming for the story, and I loved it. But Elizabeth still lingered, and I wasn’t quite sure how to place her. I loved Ross and Demelza and Verity, hated George, but I couldn’t decide where Elizabeth fit. Still, I knew for sure that I didn’t hate her. Not even close. And, as I continued watching the story and then read the books, Elizabeth actually became one of my favorite characters, and I think you had a lot to do with that, Heida. Past generations of Poldark fans called her a snobby ice queen or cunning shrew, but many have noted how you brought something nuanced and layered to the character. You helped audiences see past the porcelain surface of Elizabeth and into her 18th-century female mind, which I’m now convinced was constantly running at the speed of light. Because of your gentle handling of her, I have enormous sympathy for Elizabeth and the complicated, inconsistent journey she takes throughout the Poldark saga. When I looked at Elizabeth, both as I watched the show and read the books, I never saw a villain or a purposely malicious aristocrat like many people have. I saw a very young woman caught between her heart and her head, her real desires and the crushing expectations of her society; and she felt she had to follow her head since she’d been taught to be strong and lay personal preference aside in favor of public image. I saw a new wife and mother who tried hard to support her husband, her son, and the others in her care, but felt crippled by her husband’s passivity and emotional neglect. I saw a wronged wife, fiercely devoted mother, affectionate sister-in-law, and dignified lady of the house who was trying her best to fulfill everyone’s expectations while she had to watch her husband choke on jealousy and gamble their livelihood away. I saw a woman constantly wondering what life might have been like if she’d defied people’s demands just once and done what she really wanted rather than what she was supposed to do according to everyone else. I saw a woman pained by seeing the man she truly loved marry another while her own husband ignored and berated her, even though she was doing everything she’d been taught about being a good wife to him. I saw a wife grieving for the man she’d originally thought her husband was, for what she knew he was capable of if only he would look outside himself, and for what her marriage could have been if he’d faced life’s challenges like a man. I saw a woman who grieved even more deeply when that husband died right as he started to turn his life around for the better. I saw an impoverished widow terrified of what the future held for her son since she had no money or security to give him after his father died and left a mountain of debt and a crumbling estate. I saw a woman again caught between her head and her heart when an unexpected second marriage offer came, and she once again chose the logical route since she had her son’s future to think of, as well as her own security and that of her ailing relatives and a derelict estate. I saw a woman forever tainted in her own eyes and constantly carrying a heavy, guilty secret because of the angry, jealous, impassioned actions of the man she’d always loved, but who ended up letting her down appallingly. I saw a woman worn down by disappointment, betrayal from men she should have been able to trust, and constant fear for her future and that of her children. I saw the wife of a powerful, influential, ruthless man who she desperately needed to please even as she tried to check the reach of his cruelty towards other people. I saw a wife who learned to be happy in her second marriage because that husband finally provided the security and care she'd always wanted for herself and her children; yet, she still had to tread carefully since she knew he could be merciless if provoked the wrong way. I saw a mother crippled by fear of what would happen to her children if her second husband didn’t accept them and provide for them. I saw a woman of deep feeling, but who was naturally reserved and often didn't know how to express or react to what she felt, because she'd always been taught to be strong for other people and to keep her emotions in check since showing strong emotion was unfit for a lady like her; overtime, it became more and more difficult for her to keep her mask of composure in place. Ultimately, I saw a woman who was highly sought after and loved by three very different men, but ended up caught in the crossfires of their rivalries. All of them loved her selfishly in various ways, never focusing entirely on who she was as a person, but on what she could do for them. Sadly, that eventually led to her suffering an untimely death in an attempt to shield her son from the consequences of all of their jealous actions. To be sure, she made inexcusable choices along the way too, but those three men hastened her tragic end with their envy and manipulation. I saw in Elizabeth a heartbreaking example of the choices women could have been forced to make in the 18th century. I saw an intelligent, capable, eager, affectionate woman who became jaded by the many difficult hands life dealt her. I empathized with her and wanted better for her. She deserved better, I’m convinced. And I’m convinced because of you, Heida. All that I saw in Elizabeth started with you. You played her with quiet strength, dignity, nuance, restraint, grace, and emotion that I could always see bubbling just beneath the surface of her calm veneer. I felt for her and wanted to tell her how beautiful and worthy she was. So, thank you. Thank you for bringing this complicated woman to brilliant life and for giving me a character I learned to sympathize with in ways I never could have expected when I settled in for that first Poldark episode on that evening in June 2015. It’s been a wonderful journey and I will miss both you and her so much during the final series next year. Do you ever feel like you’ve met a new “kindred spirit,” as Anne Shirley would say, when you read a new book? It’s often a particular character of the book, but it can also be the author of the book. This week, I finished reading Book Girl: A Journey Through the Treasures & Transforming Power of a Reading Life. The connection I felt with the author of this book, Sarah Clarkson, is a little uncanny. I’ve often encountered authors whose words leap out at me and make me feel understood, but sometimes you come across an author that just “gets it” in a way you can’t totally explain. That was Sarah Clarkson and Book Girl for me. 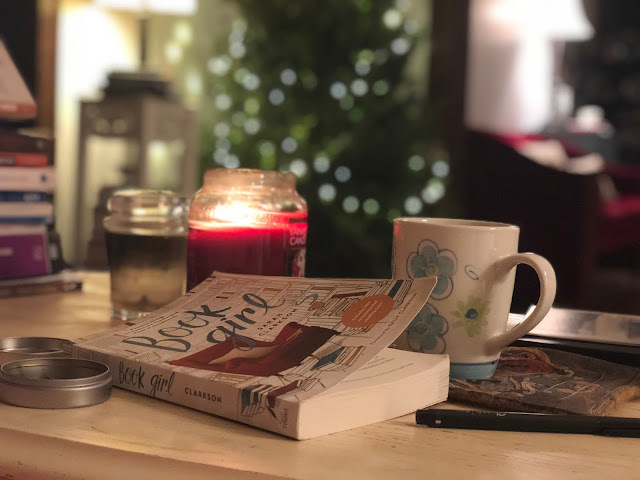 Book Girl is partly her memoir, partly her love letter to books and reading, and partly her own precious efforts to pass on the gifts that reading has given her. Whether you’re a lifelong reader, trying to find your way back into regular reading, or want to build a reading life for the first time, this book is for you. 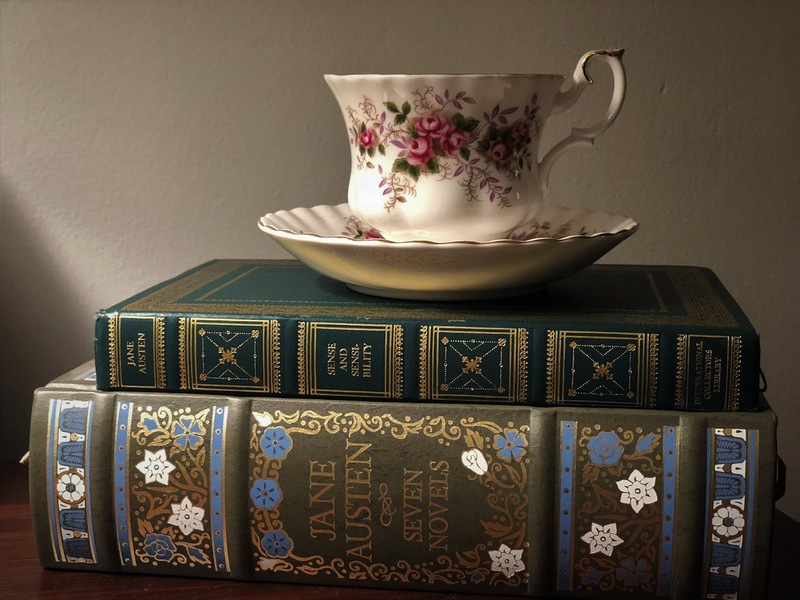 Sarah Clarkson shares her own dear reading experiences, exhorts her audience to join her in receiving the richness awaiting them in a reading life, and offers a treasure trove of book recommendations that will make bookish hearts sing. There are already way too many underlined and bookmarked pages in my copy of Book Girl to share all my favorite quotes, but here are a precious few that I’ll offer as their own endorsements. I’m so glad I read this book and know I’ll be returning to it often. Thank you, Sarah Clarkson.